Ahh, honey beer. 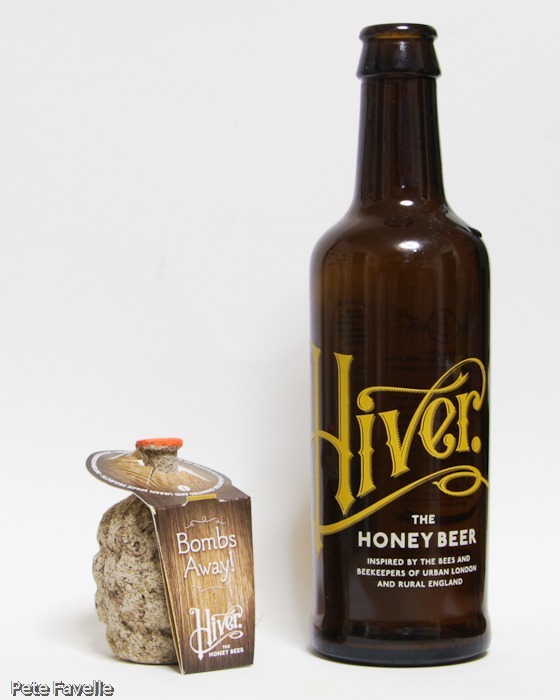 As with other beer flavourings – ginger being the prime example – the secret to a successful honey beer is walking that impossibly thin line between overwhelming the beer and tasting more like an alcopop, and being so subtle as to be lost and tasting like plain beer. That balancing act is further complicated by the fact that everyone’s tastes are different. What’s just right for me is bland to someone else, and horribly over-flavoured to others. It’s not a challenge I’d take on, myself. Happily, there are a growing number of brewers who are willing to step up and try. 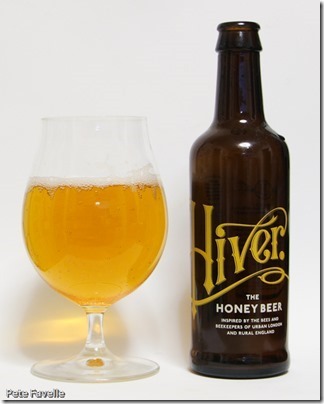 Hiver is the latest honey beer to emerge, blinking, into the spring sunshine. Driven by a passion for all things honey, this philosophy is emphasised by the inclusion of a ‘seed bomb’ in my samples, full of seeds for bee-friendly flowers. Having won Ocado’s “Britain’s Next Top Supplier”, it is perhaps unsurprising that Hiver is contract brewed – in this instance, down in Sussex at Hepworth. I would imagine that winning an exclusive distribution with someone like Ocado brings with it some pretty formidable production volume requirements, but it’s slightly disappointing that it’s not been possible to keep production in London itself, given that the inspiration comes from London’s urban beekeepers. Of course, the most important aspect is the end product, rather than the production! It’s a bright, golden honey colour in the glass, with large, open bubbles and no real lasting head on it – in many ways it looks more like a cider than a beer. The nose is full of honey, to the extent of overwhelming any other aromas that may be lurking. 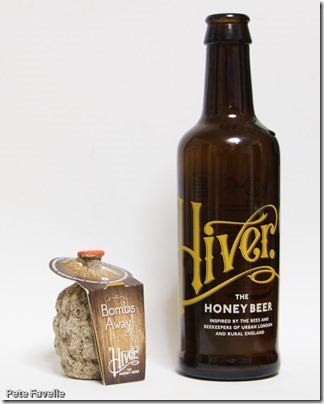 It’s a light, sweet honey smell though, rather than the slightly heavy, wet-dog kind of aroma you can often get from honey beers. In the mouth, the initial impression is of heavily carbonated fizz. Fighting through that is some gentle, sugar sweetness and just the barest hint of honey. What sweetness there is is swiftly washed away, and a slightly fruity hop bitterness starts to come through but the fizz mutes everything. The little sweetness present is a pure, candy sugar kind rather than the richer, stickier sweetness of honey which is a great surprise considering the heavily honeyed nose. 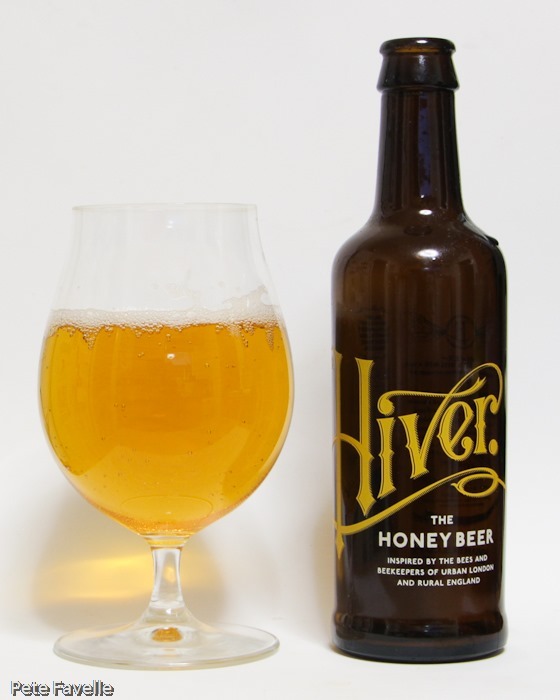 Yes, there is just the barest hint of some honey, but it’s hard to find – what you’re left with isn’t a particularly bad beer, but it simply doesn’t deliver on flavour. After the promise of the aroma, the flavours are something of a let-down – 2 stars, most of them for the nose. Hiver is available exclusively at Ocado. Many thanks to Hiver for these samples.